Dear All, I am in a dilemma, please help me out. My organization is a small organization with approx. 120 employees and the HR system is still developing. As the first process I have introduced the attendance system which now all employees are adhering to except the senior management team and few regional managers. Now, I have been questioned by many employees that if all employees are marking their attendance then why the Seniors are not marking and they also do not come on time. How do I handle this situation ? My query is in other organizations does the Senior management team who are in the level of General Managers or above mark their attendance like rest of the employees? It's common in almost every units that senior management personnel's attendance is not recorded by them individually like other middle & lower level personnel by signing or punching, though some cos still follows every employee irrespective of cadres punch while entering the office. Where there are magnetic entry card or bio-metric system is in vogue the linked computers automatically records their attendance. The solution in your case is, if there are PAs to them, they shall send a monthly communication either by eMails or IOM(Inter Office Memo) to the Pay roll giving the details of concerned attendance for the month. If there are no PAs individual officials shall send their attendance by eMails, failing which the Pay roll shall design a format and circulate among such officers and obtain their data for processing & records purposes. A sound HR-Office Management shall have such a written reporting system in coordination with Pay roll. Thank you for your prompt response. I actually wanted to issue an email to them for marking their electronic attendance. I may be wrong but shouldn't all the polices etc be practiced by the Seniors before drilling them down to other employees? If the police themselves do not follow rules then how the public be questioned? There is no hard and fast rule that Srs. shouldn't mark their attendance. I didn't mention what practice in vogue in your office. Is't signing in the attendance register kept at the entry or at the desk of office/reception or bio-metric or magnetic card. Much would depend on this systems. I'm not advocating the fact that they shouln't mark just because they are seniors. But you should also appreciate the fact that most of the seniors does't go strictly by the clock. They are supposed to work 24x31x365 unlike their subordinates. Middle/junior level staff can afford to work 9-5 routine whereas SM can't do that because they are responsible for all the requirements without limitations to office timings. They are meetings-within and outside, calls to attend, answer to customers & officials of various agencies, achieve targets and rectify pitfalls and so on. So I don't suggest you to take them to task for not signing the attendance. At the same time if they won't enforce discipline within among their subordinates, they are only held responsible for the do's and don'ts. You personally talk to your Sr. Management and explain them that It will be difficult for you to keep their leave records and process their salaries without proper attendance record. If you are still managing the manual attendance you can send the attendance to their desk through some office assistant to get it signed. So gradually you can develop the signing habit in them. Regarding the punctuality as Mr. Kumar has suggested it will be difficult to get them on track since they work for the late hours. Senior people need to set examples of following company rules in visible and open manner. Biometric attendance system placed at entrance will help solve the problem.But seniors need to set examples first. No doubt they may need to work late hours etc, but basic attendance requirements is unavoidable as record for payments.Seek their cooperation and assistance in making the system work. 1) Security's primary duty is to regulate entry & exit of employees as well as others 24 x 7. It's possible they could miss to take note of in/out movement of personnel when they have to concentrate on other aspects like movement of goods thru' the gate etc. 2) They are not going to be informed on a given day who will be on duty, who are on leave or on duty outside and so on. 3) It's possible for fraudulent marking if they collude with employees. 4) This arrangement may not work where large man power is involved. It's common in almost every units that senior management personnel's attendance is not recorded by them individually like other middle & lower level personnel by signing or punching, though some cos still follows every employee irrespective of cadres punch while entering the office. Where there are magnetic entry card or bio-metric system is in vogue the linked computers automatically records their attendance. other wise u can induce payroll software ( like attendance capture direct through mobile) many soft wares available in market . it will be given more information to employees also like senior level to junior level , that 's better for u because of u can trace out location also. Nothing New, A Very common problem in India and almost every industry and company must have this issue. But people like us are always there to find out the way out. Ask top management to give exemption or support to advise everybody for punching. With this your top mgmt will also come to know your problem and definitely decide to give exemption till certain levels. on which you can comment to other employee to reach that level and enjoy the benefit. If you are a HR Professional with level of Manager, Draft attendance policy and got it approved then you can email and announce the attendance policy to all staff by email and noticeboard. If problem is not solved, public the attendance graph dept wise on noticeboard. senior managers will start take care of it to avoid their dept being exposed publicly. I agree, in many of the companies, it is like that only, for those who are in senior management and not marking their attendance, simply payroll division shall continue to mark their absence and deduct their days of absence. surely from the next time onwards, they will make a practice next time to punch their attendance so that their salary gets updated correctly. Its very critical to say that start deduct their days of absence. Seniors are very surely not going to accept it. They always follow this attitude to bypass the attendance rules, but want to follow the attendance rules by the juniors. Its very common that seniors come any time in the office because most of the times they work beyond fix span of time. I would like to suggest here the speak with the higher authority i.e. hod , directors etc... and convey them there is lack of system and policies internet the company which may having loss to the company in terms of the excess salaries paying because of no proper attendance record. Thereafter take a permission from them to prepare attendance & leaves policy and apply it through them only. Outsource your leave and attendance management system to a trusted third-party HR outsourcing vendor can help out. Draft a email saying, Hereafter, All our employees payroll, leave and attendance management and some other HR functions has been taken care by the third-party vendor. (you can draft it detail) and send to all your employees includes senior and juniors. Third-party vendor can have direct contact with your bosses in terms of management and accounting and other stuffs. By this way you can avoid the internal conflicts. So everybody is connected with third-party vendor loop. You don't need to handle all this internal mismanagement. 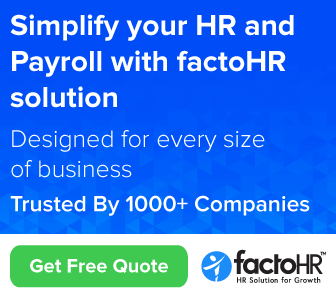 Also, being a small business, the company should focus on their core competencies not with this highly detailed, complex payroll and leave management system. Let's the HR outsourcing company can take care. 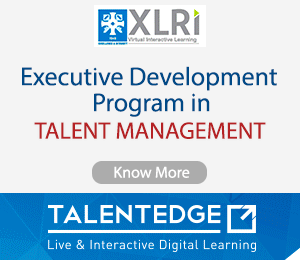 If you are in a Sr.cadre and could have direct access to Top management like HR-Head, Directors etc. you should discuss with them raising these issues and seek their guidance. If you do anything on your own it might harm you. Without any consent of your superiors don't try to take forward sensitive issues on your own. Thank you everyone for your support and responses. I have spoken to the HR Head and she has spoken to the senior management team. There is some improvement and hopefully everyone will start marking their attendance. Ours is an online Software Attendance portal, no biometric etc. "Appeasement" in matters of Workplace Discipline for any Cadre of Employees holding any hierarchy Position/ Designation in an Organizaation is Unwelcome, Unlawful, Unacceptable "Stand" and is most likely to ruin the Values of the concerned Org for and the Org Entity, subsequently. People See and People Do is just Not an Adage but True and any Act Unworthy Of Employment definitely will instill indiscipline, Disregard for Team-Work Spirit, Co-ordination, Loss of ManHours, Low Profit & Profitability, Low Morale and Lack of Motivation symptoms of Moving Towards Bankruptsy /Closure. ENSURE Every Employed Person, irrespective of Diesgnation, Resumes Duty at Appointed Time and to that end, Report at Workplace Few Minutes before Resuming Duty for that Day. Indiscipline Anywhere Is Threat to Discipline Everywhere. It'll work. From your side, pl.monitor this continuously, and whenever there is some let up, talk to them orally and request. I hope they understand. Don't view any slippages as egoistic, even if there's no improvement don't worry, keep friendly approach get going, that'll ease the situation. Don't ever give room to create an impression in them that you are trying to pull them up for trivial things and rubbing on a wrong side. Be sensible in dealing the matter, nothing wrong when some here and there slips for various reasons & don't allow it to escalate in a big way. All the best friend. 1) As the first process I have introduced the attendance system - Who has advised you to introduce Attendance System? what were problem faced because of non availability of attendance system? 2. except the senior management team and few regional managers - For how many days month year your organization was not having attendance system earlier? 3. Seniors are not marking and they also do not come on time - Whats your CEO/Owners view on this? 4. the HR system is still developing. - What is age of your organization what is the average tenure of the Senior Managers in your organization? 5. My query is in other organizations does the Senior management team who are in the level of General Managers or above mark their attendance like rest of the employees? - Whatever other organization does may not be suitable for your organization Culture and environment. In most of the companies sr. Level mgmt people skip d attendance. But they are responsible for pros & cons of their department/ company. As far me, i think junior have less responsibility as compared to higher level. Keep the Muster and ask your office boy to go to his cabin and take signature of seniors.on day to day basis. As per my view.this method may help you to solve the problem. In recent years, we should take note, many employees at all levels are permitted to long in wherever they are which is taken as their proper attendance. This arrangement would nullify the need to mark their attendance at a given desk/entrance. There is another arrangement also in vogue. Under this there is no commencement & closing of office hours/attendance. There is only a stipulation that in a week/month their cumulative minimum long-in hours are taken into consideration for their attendance. This is used irrespective of top/middle/bottom level employees. So in a world every one is surrounded by wired/wi-fi connectivity there is hardly any need to mark attendance as we have been doing in the recent past. All pl., read 'log-in' instead of 'long-in'. Spell check error is regretted. It is must maintain the attendance system for each and every Employee in the organization. For Sr. Managers you have to make a separate Attendance manually. Remaining in Biometric. For statutory purposes, you have to show the attendance register for all the employees. Compulsory the PF / ESI / Factory Inspector / Labour dept officials if they inspect, they will compare the attendance and Salary / Wage registers. Thanks to all members for sharing their practices, problems faced in attendance regr.signing/recording of Sr.officers Attendance. Certification of Attendance for Salary is an imp.task of HR Mgr. Begins - 6 a.m. Begins 2 p.m. Begins 10 p.m. Begins 9 a.m.
Ends - 2 p.m. Ends 10 p.m. Ends 6 a.m. Ends 6 p.m.
2. Every employee should record his Presence Daily in the Attendance Register as per their Duty Schedule mentioned above; immediately on arrival in the Factory and before starting of his duty; and also PUNCH IN Time (on the Punching Machine kept at the Factory/Office entrance) before Starting of the duty. OUT Time shall be Punched after Ending of the duty/While Going out of the Factory. 3. ALL THE EMPLOYEES ARE REQUESTED TO MARK THEIR DAILY PRESENCE BY PUTTING A small Initial only. Please donot put signature. Signature of some employees Stretching to other’s column; is spoiling the Register. 4.All the employees must write the SHIFT Name (A, B, C or G which he is doing) below his initial. 5. If the employee has to go out of the Factory during the 8 hrs. duty period, he should get OUT PASS/LEAVE CARD from his Superior, produce to Security/Time Office at the Main Gate, Record In & Out time in Punching Machine every time while Leaving & Entering the Factory to record the total hrs. worked daily in the Factory. 6. BOTH ATTENDANCE REGISTER & PUNCHING REPORTS WILL BE THE BASIS TO CERTIFY ATTENDANCE FOR SALARY AND HENCE, ALL EMPLOYEES MUST SIGN & PUNCH AS ABOVE WITHOUT FAIL. 7. EMPLOYEE MUST sign IN ATTENDANCE REGISTER only if he has worked on that day. HE SHALL NOT SIGN IF HE HAS NOT WORKED ON ANY DAY. IF his Superior has permitted him to take Holiday on any Sunday, Holiday etc, he can write S for Sunday, H for Holiday & WO for Weekly Off PROVIDED; he has not attended duty on those days. 8. EMPLOYEES SHALL NOT WRITE OR RECORD LEAVE, C-OFF, OD etc., IN THE ATTENDANCE REGISTER. EMPLOYEE SHALL PRODUCE SANCTIONED LEAVE CARD, Co-OFF APPLICATION, OD Form etc., TO HR DEPT., THEN HR DEPT. WILL RECORD THE SAME IN THE ATTENDANCE REGISTER AND REGULARISE THE ABSENCE. 10. HR Dept. is authorized to put Red Dot in Blank columns which would mean the employee has not attended duty on those days; unless he regularize it with Leave Card, Medical Certificate, C-off, OD Slip etc., as the case may be. Once Red dot is put, Employee shall not overwrite; BUT discuss with HR Manager regarding regularizing the same. 11. No correction/no representation regarding Attendance/Absence will be accepted after Attendance is Closed and given to Accounts / BANK for payment of Salary. Hence, all employees are required to discuss with HRD reg.regularising Absence to avoid deduction of Leave, Salary etc. 12. Employees; due to exigencies of work, when required to work by their Superiors; beyond duty hours,Weekly Off days, Holidays etc.,they should comply with the instructions, work and enter in the Extra Work / Co-off Register kept for the purpose and get the signature of their Superior in the Register. 13. When the employee wants to take Co-Off for the Extra work, he should enter the same in the Co-Off Register and get the Co-Off Application sanctioned by his Superior & present to the HRD before leaving the Plant. 14. No employee SHALL sign for others, SHALL NOT MAKE CORRECTION OR OVER-WRITE IN THE REGISTER. EMPLOYEE SHALL TAKE THE REGISTER ONLY FOR SIGNING AT THE SPECIFIED SHIFT TIME. HR MANAGER IS RESPONSIBLE TO VERIFY & CERTIFY ATTENDANCE FOR SALARY & HR MANAGER IS THE CUSTODIAN OF ALL H.R. REGISTERS INCLUDING ATTENDANCE REGISTER. Hence, All the employees are requested to cooperate to maintain & Certify the Attendance for Salary and help HR&A Dept.to keep the Registers as per Rules. 16. ANY EMPLOYEE VIOLATING ABOVE RULES WILL BE LIABLE FOR DISCIPLINARY ACTION. 17. The above Rules will come into force with effect from , 2019. MANAGING DIRECTOR / GENERAL MANAG – HR & Admin. Thanking you & awaiting to hear from you. C.N. Khan,HR & Mgmnt Consultant&Advocate(Ex-AGM-HR&A-35 yrs exp. in HR,IR,LegalAdmn.in7 Mfg.Co.s +Secy.for ISO certification). Ex-Member, NIPM, Calcutta, Ex- Tr.Member, I.I.M., B;luru. Senior people have to set examples of following company rules in visible and open manner. ISTD Diploma for Working professionals?